There have been several studies and observations that show the positive effect of pets, especially puppies, on depressed or anxious individuals. Animals are a blessing, most poets; writers use the reference of dogs and other pets for their unconditional love. 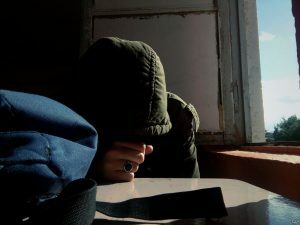 There are many mental disorders that require that you have all the emotional support you need to get better and stay healthy. There are several cases in which small horses also qualify as emotional support animals. However, in most cases, it is often a dog. The duties of an ESA require it to be friendly, trainable and psychologically stable. Dogs fit this description perfectly. Emotional support dogs are trained by service dog organizations or by different dog breeders for this specific purpose. The whole idea of an ESA canine stemmed from the use of German Shepherds in World War I as messengers or as partners to medics. The first guide dog school was opened by a German Doctor in 1916. If you are suffering from a mental disorder, it is very important to get your condition assessed by a certified professional such as a psychiatrist, a psychologist or any other mental health professional. If they deem you can get better, or that your symptoms will get better using an emotional support animal, they will write a letter authenticating one. Bear in mind that an emotional support dog can only be recommended by a mental health doctor and no other. The process to getting an ESA puppy or dog, however, is lengthy and might require going through a few steps. There are a rules and laws that surround this which you can learn more about here: https://therapypet.org/emotional-support-animal-information/. You can either register your dog as an ESA or get a new one from the therapy pet services. If you feel that you need the emotional support of a dog, the first step is to find out whether the law in your state allows you to have one. If yes, then you may proceed with finding a psychiatrist or a mental health expert who evaluate you. Moreover, ESA pets are special in the sense that they are allowed access no-pet facilities and apartment buildings. But you need to have an authentic letter from your doctor that you absolutely need your dog’s help getting through the day. Showing that letter will clear a lot of misunderstandings. Make sure that the dog that you choose has the right characteristics that are suitable for your mental health. Make sure that you can provide food, shelter, and care for that particular dog. 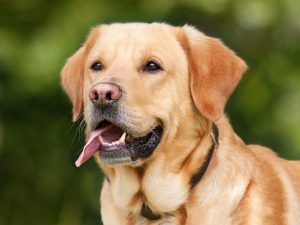 Do not overdo it and opt for a German shepherd when you can easily adopt a more indoor-friendly Labrador. The next step is very important, as highlighted briefly, it is absolutely essential to get a doctors letter, with their letterhead at the top. This letter is a legal affirmation that you should get an ESA dog to help you with your daily routine. This is extremely necessary as a professional should advise whether having a dog will improve your state of mind or not. The next step is to get a dog from a company that specifically train dogs to be emotional support pets or you can registered your own dog with a emotional support association. 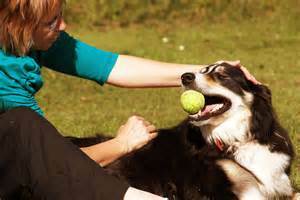 You can always get your dog trained for service by a reputable dog trainer. After providing the association with all the relevant details you will get a letter from them officially allowing you to keep an emotional support animal. This allows you to keep your pet with you in no pet zones and you will also be able to air travel with your ESA. If you change your support dog it is not necessary that you get a new letter.